Do you know how small tree roots are when they enter your sewer drains? Believe it or not, when tree roots enter your drains through small cracks in the pipe joints, they are finer than the hairs on your head or the purest Australian wool. The number of over the fence disputes between neighbours started by tree roots growing under the fence is multiplying. As the trees in your garden mature they go in search of moisture and nutrients in neighbouring properties sewer pipes. Periods of no rain like we are currently experiencing will see tree root systems spread in every direction in their search for liquid fertiliser. Many homeowners without a single tree on their property will have blocked sewer pipes caused by tree roots from their neighbours trees, sometimes 2 or more houses away. That is an inconvenience however, Vaporooter is an alternative way to stop tree roots in your drains and maintain neighbourly relationships. Did you know when you cut tree roots from your blocked sewer pipes, they grow back thicker and stronger? You see, getting a blocked drain specialist to cut the roots of a tree with high pressure water or an electric eel is just like pruning your hedge or rose bush, it actually encourages tree root regrowth. Over a long period, when the tree roots in your sewer pipes grow back thicker and stronger, it reduces the time between cuts. Or sewer blockages occur more frequently! Eventually the roots that grow in through the small cracks and joints in your sewer pipeline will begin to damage or break your pipes. So is the only remedy to dig up that section of pipeline and carryout expensive repairs. Occupants: Mostly women over 40. 2 with teenage children. In total we have billed this client $9,772.00 for tree root cutting and repairs. In March 2010, they have finally indicated their interest in applying Vaporooter to control their tree roots in and around their sewer pipes. The quote to apply Vaporooter is $1,586.00. This comes with a 12-month Guarantee. The estimated cost to renew this sewer around both sides of the building and out to the sewer main in the street is estimated to be an astonishing $40,000.00. The roots from the trees in this street are widespread. We have attended to blocked drains in houses and unit blocks up and down the street. The roots are getting stronger. Without Vaporooter, a full sewer replacement will be the only (costly) alternative. Some of the residents have indicated that instead of applying Vaporooter, they will lobby the Council to cut down the trees. That would change the entire streetscape and severely diminish their property value above the $40,000 sewer replacement and well beyond the preventative Vaporooter solution that is guaranteed to solve the problem. This beautiful period block of flats, a 5 minutes walk from the beach is on a street lined with Hills weeping fig trees. You know the kind, they produce the most beautiful summer shade with birds attracted to the fruit. The branch canopy stretches right across the street. But, so does the root system of these magnificent specimens. We were first called to this property to attend a blocked drain in May 2005. The problem was tree roots from the specimens on the public footpath at the front of the property. The ground floor flats were the worst affected. Not only did their toilets back up when they flushed them, but when the flats upstairs flushed their toilet, that also came up and sometimes overflowed in the ground floor toilets. That’s called The U-Tube (poo-tube) effect! We recommended to the owner occupiers that Vaporooter would control the tree roots in their sewer. They declined to take up the offer. In the 5 years since, we have attended to this sewer blocked by tree roots 7 times. We have carried out excavations to repair sections of drainage damaged by this aggressive tree root system. This unfortunately includes costly and inconvenient weekend and after hours callouts. Thank you for doing the Vaporooter treatment this morning, it gives me considerable peace of mind. As you will recall we had experienced some nasty sewer blockages previously, up to two a year due to an invasive ficus vine spreading its tree roots into our pipes. The sewer line passes under a slab floor and access to the pipes is virtually impossible without major invasive works, Vaporooter seemed like a good option. 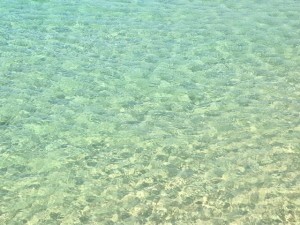 Once the blockage had been thoroughly cleared, you applied the treatment. 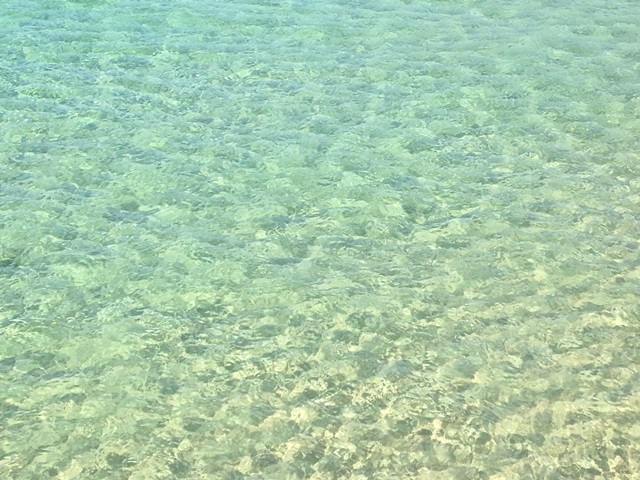 Today’s was the third annual re-treatment and I am happy to tell you that we have had no trouble whatsoever with the drains. 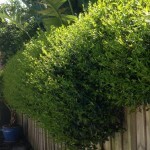 The treatment has been successful and has avoided a costly and invasive repair job. Sewer and drain pipes may not be very attractive to you, but tree roots love them. Tree roots are lured towards your pipe because of condensation. Moisture builds up around the pipes, more so in summer because the water in the pipes is much cooler than the surrounding environment . Thirsty tree roots lock on to the trail of dampness and creep toward your pipes. The roots will grow along the pipes until they reach a crack, they may even pry open a loose joint. Once the pipe is breached, the root will grow into it to take advantage of the nutrient-rich material inside. 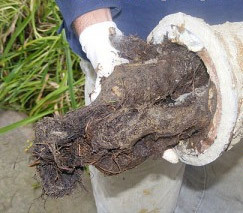 As the root continues to infiltrate the pipe it grows a bundle of thin root-masses. These masses make the blockage worse by trapping kitchen grease, food oil, and large pieces of drain debris such as toilet paper. The tree roots will eventually exert so much pressure on the pipe that they will simply destroy the section that they have grown into. The pipe may crack or burst from the outside, or it the pressure of the roots on the outside could cause the pipe to collapse in on itself. Tree roots are not your everyday drain blockage. Most blockages can be quickly cleaned out by your local plumber. The blockages caused by roots that grow into pipes are much more complicated. Even if a plumber is able to eel out the blockage, there will still be damage to the line. Use pipes made of Polyvinyl chloride (PVC) for new and replacement drains. PVC pipes are strong enough to repel the tree roots. Experts agree that PVC is the best material for reducing the risk of tree root blockages. Don’t plant trees near pipes. This seems simple enough, but many home and business owners don’t realize what constitutes as ‘near’ when we’re talking tree roots. Many Australian tree roots have an incredibly wide spread. Pick proper foliage. Eucalyptus, for example, can have roots systems that spread out as little as 6 metres. 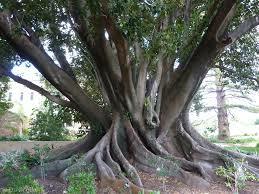 Hills Weeping Fig, on the other hand, can have a root spread upto 60 metres. Maintain your pipes. Wear and tear, cracks, and leaks can cause nutrient-rich water to seep into the soil around your pipes. This attracts tree roots straight to your pipes. Routinely check and clear your sewer drain. 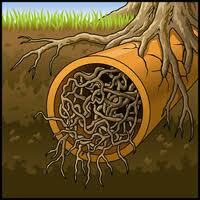 Though roots can be attracted to any type of water-bearing line, they are most often lured towards sewer drains. An expert plumber and drain cleaner can come by and clear roots out of your pipes before they become a big problem. Compare Vaporooter and Stop Tree Roots in Drains. 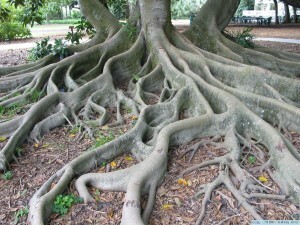 Does your home get blocked drains caused by tree roots? What if I gave you a written guarantee. We’ll fix your blockage for FREE! It sounds crazy, but its true! It’s a simple process that less than 5% of Australian maintenance plumbers know about. It’s called Vaporooter and it works. We protect over 328 families who got blocked drains 3-4 times a year before Vaporooter. Their pipes were blocked by tree roots. Check out these case studies and learn a little more. 85% of all blocked sewer drains are caused by tree roots. Simply put, there is a way to prevent blocked drains happening ever again. It’s easy, it’s safe and it Works!